Lyndale neighborhood, the only place I’ve lived and known as home in Minnesota, hosts the Fifth Precinct of the Minneapolis Police Department three blocks north of my apartment and garden on Nicollet Avenue. There is a community room meeting the corner of 31st Street with floor-to-ceiling windows on three sides, an architectural manifestation of the ideal of police-community relations. This outcome is courtesy of neighborhood radicals who spent the Nineties establishing alternative models of community safety. My neighbors started the self-descriptive still-extant Lyndale Walkers, and wisely invested our NRP dollars into social housing projects such as an AIDS hospice and domestic violence shelter. Funding the community room was a way to prevent the new precinct building (itself replacing “blight”) from becoming a fortress unto itself. Neighborhood crime declined both statistically and anecdotally, following city and nationwide trends. Since my arrival to this low-crime paradise in 2010 the Minneapolis Police Department has both turned 150 years old and shot and killed four¹ of our fellow citizens. These human beings² – our neighbors – have names and lives that mattered. Meanwhile, Lyndale’s biggest money raiser is overtime for dedicated bike cops. Raising private money to pay public servants to do a better job at their job always struck me as odd, however the police no longer even have the overtime to spare for our bike patrols. Minneapolis, like most cities, has unquestionably chosen to continually underfund the social determinants of health while insisting an increasingly militarized³ force is the only proper municipal unit for responding to the inevitable poor outcomes. For the millennia humans have organized themselves into cities, only the last two hundred years have featured municipal police forces. These departments have required “reform” and “oversight” from the very beginning, only to become even more deadly to their citizens. I know there was a time before the police, and I believe there will be a time after. I also believe that a budget is a moral document. Allocating public resources to one place or another can improve our lives or make them worse. The 2019 Minneapolis budget is an opportunity to reject paying a premium† on a kind of labor (and concept) wholly unsuited to resolving our social ills. Unlike the citizen radicals of the NRP Nineties, Minneapolis now needs specialists – the criminally underfunded people that are properly trained in the supportive services our communities use and need. While there is a massive shortage of police labor, there is no shortage of the professional labor we need to build healthier lives: public health nurses, social workers, EMT’s, and so on. Minneapolis already employs specialists in health, elections, our award-winning 911 center, and more. Mayor Frey has proposed a 3% increase in the police budget, most of it destined to double the PR department to $12 Million in the name of opioid response. For comparison, other cities have shown for a quarter of that cost we can rapidly house and provide integrated direct services to nearly 1,000 people for 60-90 days. I believe that Minneapolis knows how to make these kinds of investments. 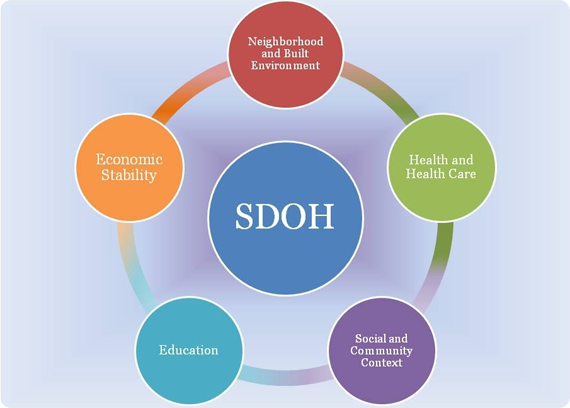 The mayor’s housing first and Full Service Community Schools initiatives address the social determinants of health. We have reams of research showing this level of intervention prevents myriad issues and saves public money down the road. I think it is time to stop mindlessly shoveling our budget’s “safety” dollars into the obviously poor fit of the police managing our structural social problems. I plan to testify at tonight’s City Council budget hearing about these misplaced priorities. I hope you can join me. ³ Did you know the use of teargas is an international war crime, specifically except by U.S. law enforcement? †When I ran for Park Board I did some back-of-the-napkin salary comparisons for different police departments. Each year the Minneapolis Police Department pays about $30,000 per sworn officer (±800) in extra “oops we sometimes murder people” insurance. The 175 deaths since 2000 from encounters with the Minneapolis police is flat our wrong. The Star Tribune story which the author quotes cites 30 deaths in Minneapolis. The 175 deaths is a state wide figure. The author does himself and more importantly the readers a disservice by exaggerating the facts. 30 deaths is tragic, but a far cry from 175. I wonder how many other “facts” are misstated by the author. Peter I’ve cited my sources if you have more questions about the data. Thank you for the correction on the Star Tribune piece. The back-of-napkin numbers came from the police department’s attorney, not from Mayor Frey’s talking point. Insurance is in the tens of millions per year, and this is baked into our budgets and spread out accordingly. If the Park Police had the equivalent issue, it would cost them around $5m a year in additional insurance (their annual budget alone is in the $5m range). This is one reason why I campaigned for maintaining an independent Park Police department. I’m not sure what specifically is or isn’t included in the mayor’s $28k less per sworn officer number. The average MPD officer makes around $58k, so perhaps the assumption is these civilian jobs pay half to do the same work? No matter how you slice it, there is plenty of room to more efficiently allocate limited funding in more constructive ways. Indeed it is. For where your treasure lies, there your heart is. This article makes no sense. it starts out with the title we need no more police, and then describes a shortage of police labor and indeed such a shortage that they can’t even staff potential overtime shifts. the insurance comment is off topic – the city is self insured, there is no $30,000 premium per sworn officer. The city sets aside a budget for settlements each year. The settlement budget is not calculated per officer its based on historical or anticipated settlements. The actual budget that was publicized did not call for more officers – it called for less actually, converting some officer headcount to other professional roles. But it is good to know that the community room at the 5th is a nice space. This quote is from the former chief of the Dallas police, a week after an Army veteran shot and killed 5 of his on duty officers. The police labor shortage is an outcome of the choices cities make to fund police budgets to act as broom and dustpan for every issue we face. The police know they’re not meant for this, and the specialists that work on the ground every day need only comparatively minuscule investments to make exponential progress on addressing the root causes. As for the insurance: I trust and believe what their own attorney told me. “An additional legal hurdle could be the negotiated police contract language that requires the city to cover officers. Minneapolis currently self-insures by budgeting an amount each year for these situations. The administration and the City Council decide on a case-by-case basis how to handle police misconduct settlements. Moderator note: I deleted a racist comment. well, there’s probably an okay NUMBER of mpd officers. need more state patrol though. and better mpd officers. but the problem is, there’s such a shortage of qualified candidates, they’ve ahd to lower standards (eg: noor). this is a nationwide problem, not one just of Minneapolis. Thanks for this post. I wonder how much money we could save the police department by turning all the cops into bike/ped cops? Cars are expensive.